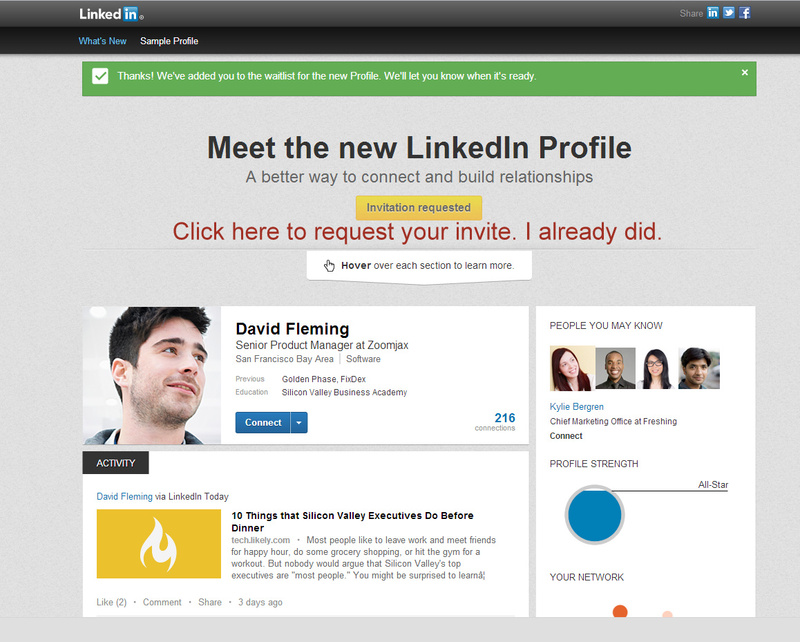 Meet The “Next Generation” LinkedIn Profile–Coming Soon To Your Profile! According to the LinkedIn Blog, they’ve just launched the next generation LinkedIn Profile, making it easier for 175 million members to tell their professional stories, be found for opportunities, and build relationships through meaningful interactions. What is the Timeline of the New Profile Rollout? Over the next few months, all LinkedIn members will start to see their profiles in the new look and feel. 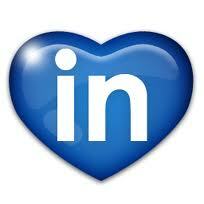 The first people to receive the profile are LinkedIn employees. If you want to be one of the first of your colleagues to adopt the new profile, you can request an invitation to receive the new LinkedIn profile. All you have to do is click the button “request an invitation” and you are placed in the line for an invite. With the New Look and Feel, it’s Easier to Do Three New Things! The new visual design helps you make a powerful first impression and showcase your skills and accomplishments. They’ve also provided tools such as inline editing, making it a snap to create a complete, up-to-date profile. The new profile shows you rich and visual insights on the people and companies in your network. These insights also make it simpler to discover people outside your network and quickly establish common ground to make more meaningful connections. LinkedIn has also made it easier to see what your network is up to and to engage with them. Recent activity is now on the top of the profile, allowing you to stay current with what your network has been sharing and doing. Sneak Peek of the New Profile. One very important note I’d like to mention about the new look and feel is that it is very important to have a professional profile picture in your LinkedIn profile now more than ever if you want to stand out among the other 175 million members. Not only is your photo taking up more real estate, it’s also used more heavily throughout LinkedIn. In fact, it’s used not just on your own profile but it’s used on other people’s profiles in numerous sections. Also, if you missed the LinkedIn press event where they demoed the new Profile for the first time, you can check out the recording of our live stream. If you found this article helpful, be sure to follow me on Twitter, “Like” me on Facebook and follow BrandLove, LLC on LinkedIn. I post many more tips and tricks on my other social channels. Thanks for reading my post and I appreciate your support!